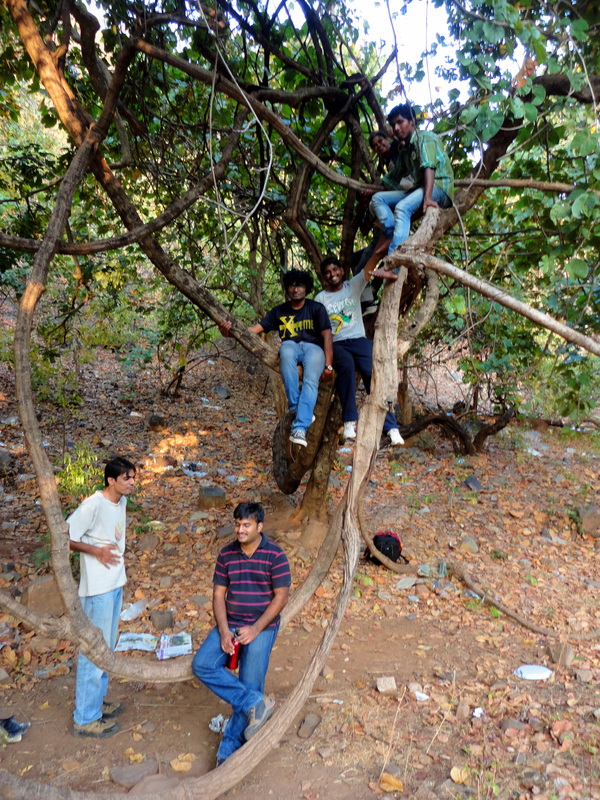 It was my first trip as an organizer and that too solo, which itself was an excitement in itself and my first visit to this place..From the time I read about this place and heard that it was one place where you are allowed to go into the Nalamalla forest I was dying to go there…finally with a group of 10 , we set off..
We took a bus from Hyderabad to Allagadda and from there literally an erra palla velugu bus to Ahobilam. 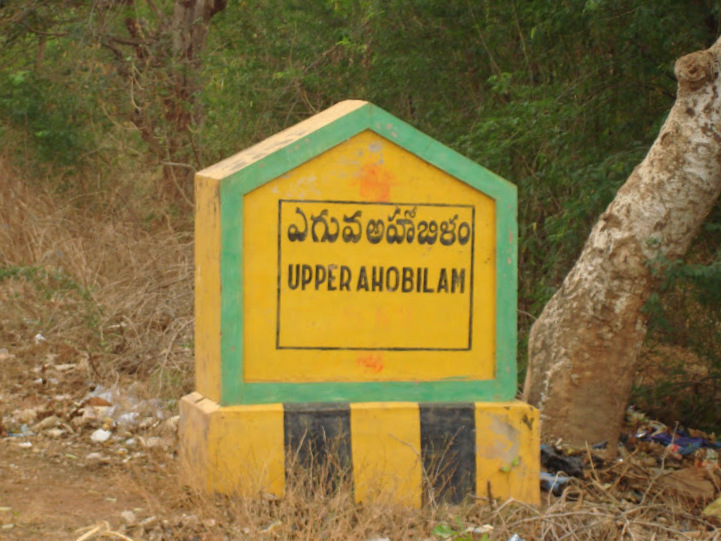 Ahobilam is divided into 2 parts lower and upper. 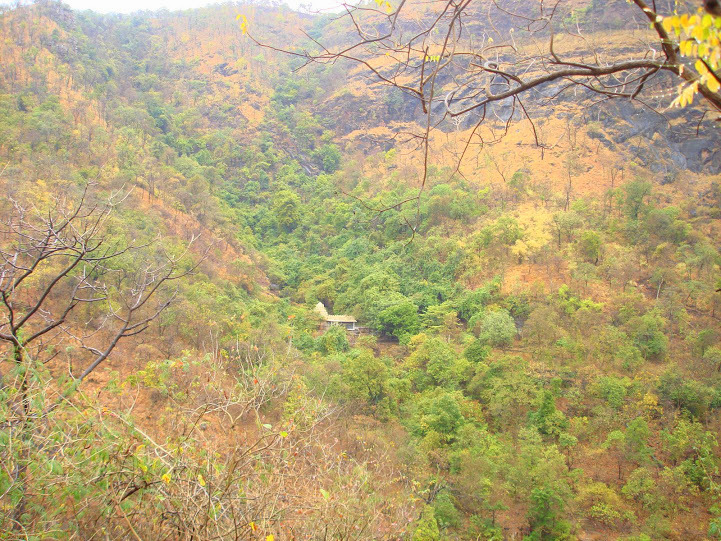 The lower part is where the village is and the upper part is where the temple, forest, and mountains are. 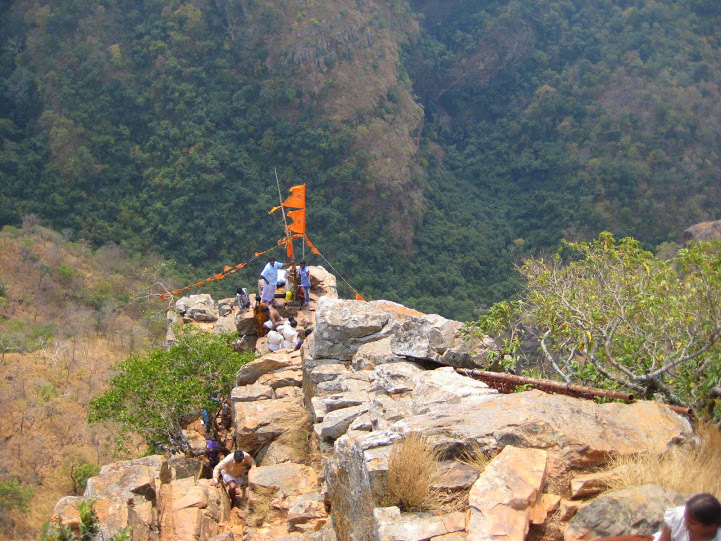 Ahobilam has nine temples scattered across the various parts of the forest and village. Our bus stopped at the lower Ahobilam. After asking around on where we can stay, we were pointed out to Mr.Badri Narayana who was supposed to be like a local head of the trust and a very nice guy. He got us some rooms in the guest house and once we freshend up, it was time to do some petpuja. You would see some women sitting along the road making dosas with karam. A must eat. 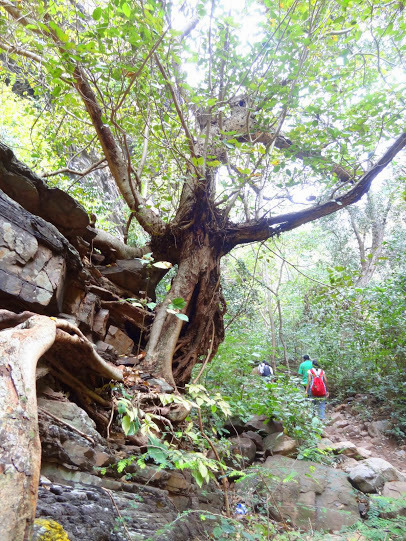 As we did not know when we would have our lunch, we all gobbled down a few dosas and with our tummies full, we started our journey to the upper Ahobilam. There would be lot of Autos moving up and down. 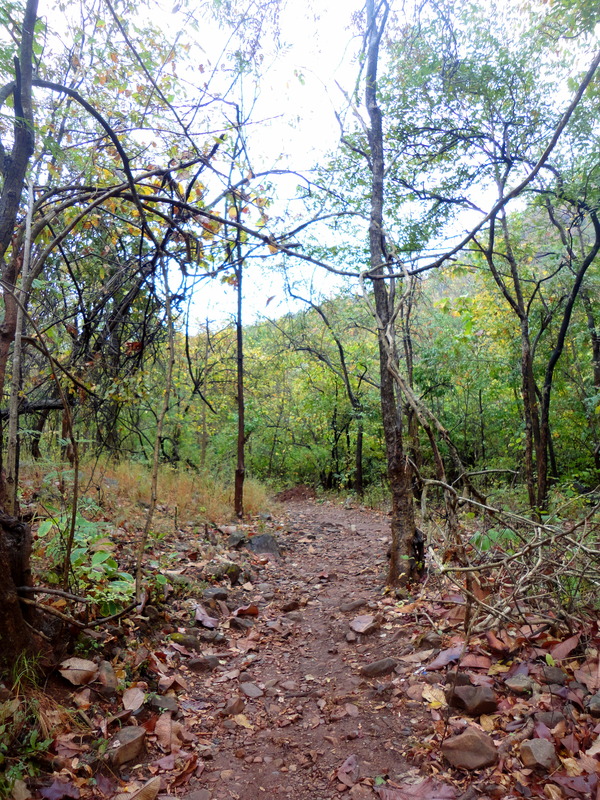 What a beautiful path it was…road between mountains and forests and luckily it was raining..once we reached upper Ahobilam, the plan was to trek till ugrastambham, the high peak. 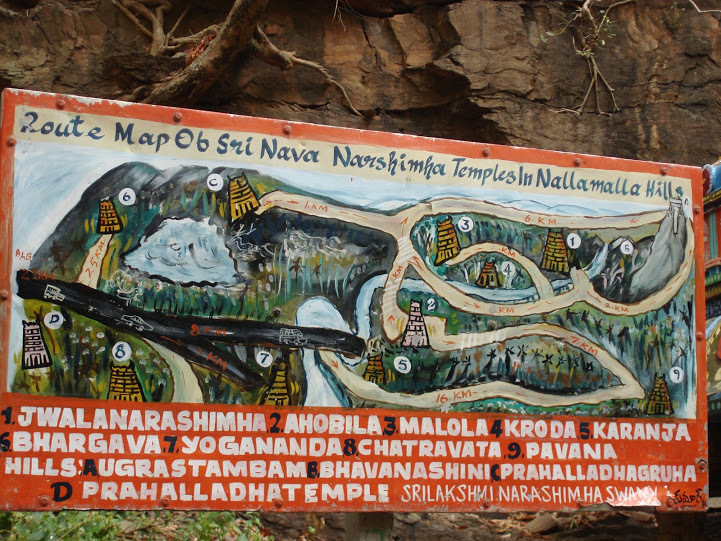 The 10 km path passes through the forest, small streams and some temples on the way. One of the temples hidden among the trees where we need to trek to. One more temple in the rocks.. 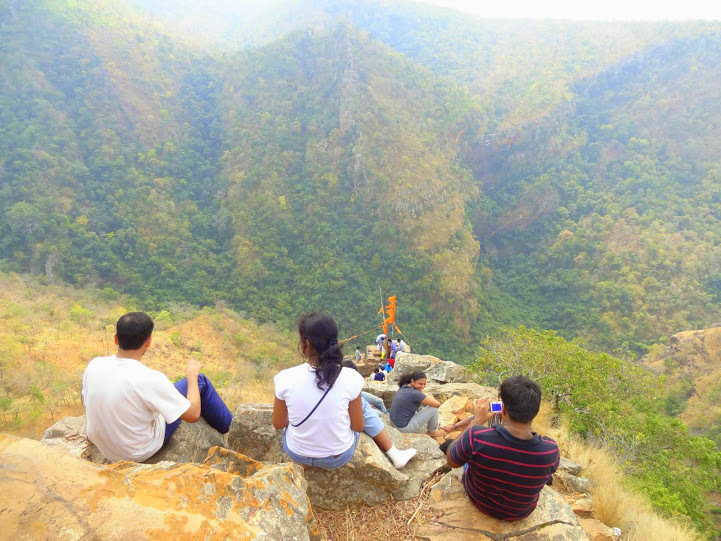 It was a easy hike to reach the top but the view of the mountains from the very top was just spectacular. I could have spent hours sitting at the edge of the mountain, staring into the mountains.. Climbing to the very top..
On the very top with the view of the hill range. Ugra stambham..the God on the top and the edge. 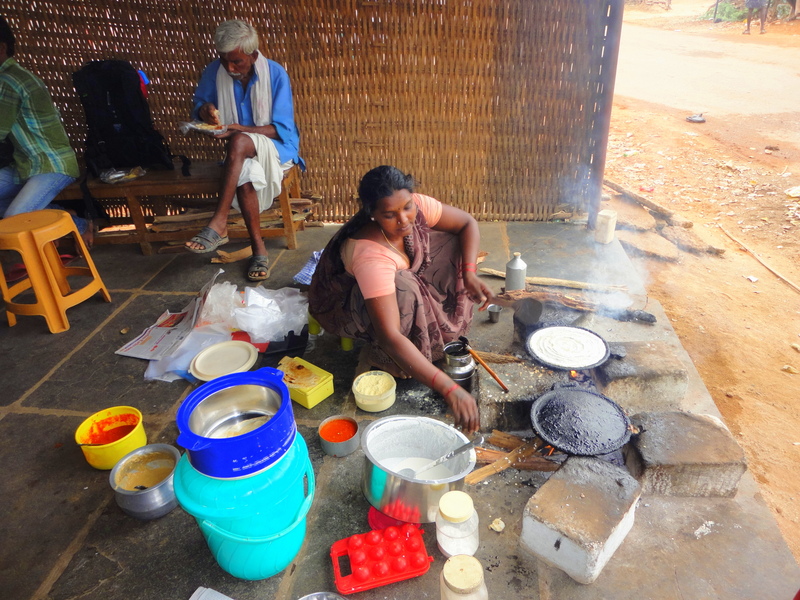 We then returned back to the base, where we had some food in the satrams which are served for free. 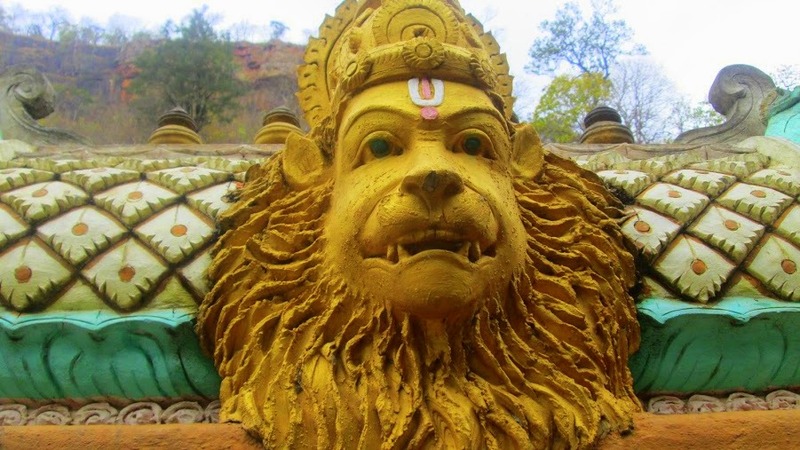 One would not find any hotels in the upper Ahobilam and these satrams provide some great and simple food. It was evening and the day seemed too early to end..the weather was awesome, so we decided to take a walk along the beautiful road all the way back to lower Ahobilam which was around 8 kms. 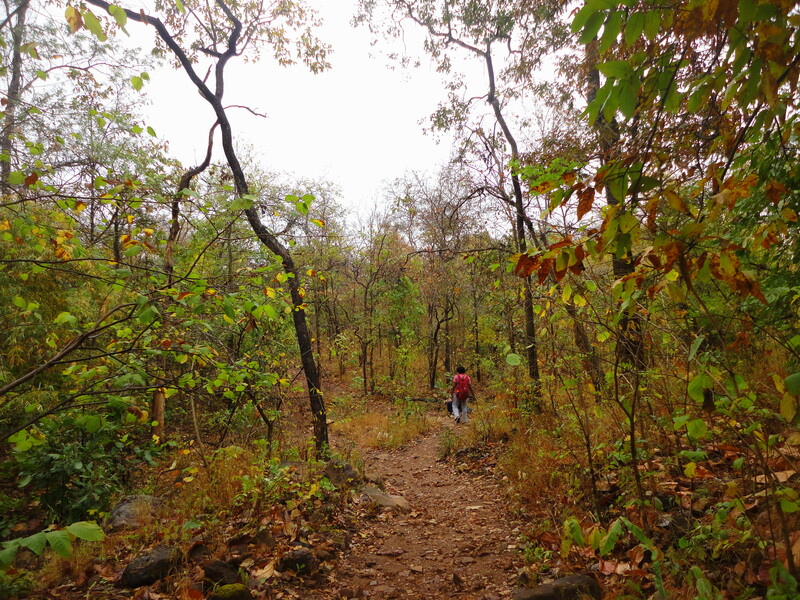 It was one of the most memorable walks I had in my trips. Hanging onto the trees, walking along the mountains, sharing all our love stories, literally sleeping on the road when we wanted a break , we finally made it back to our room in a few hours. We need rest..flat on the road!! We freshened up, had some dinner and the night was simply awesome with the cool breeze swinging all around us. 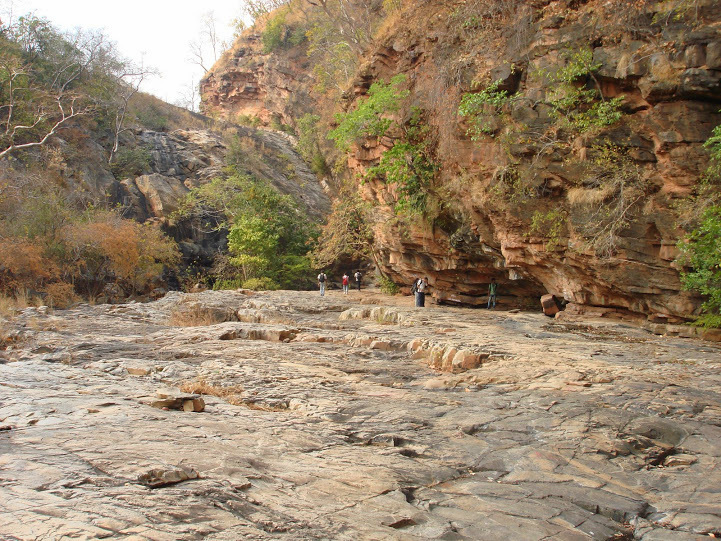 Even after 18 kms of walking that day, still the beauty of the place was such that we wanted more. So we did a small night walk till the end of the village and ended our day. 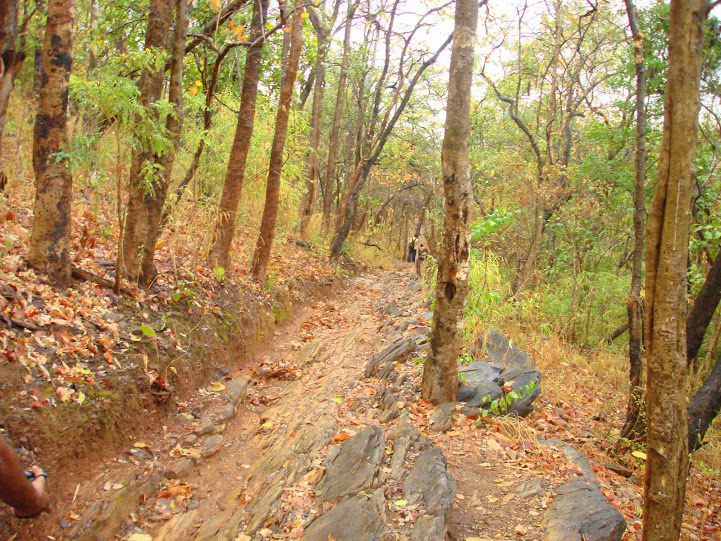 The next day it was time to go to pavana and what a path it was..simply awesome! 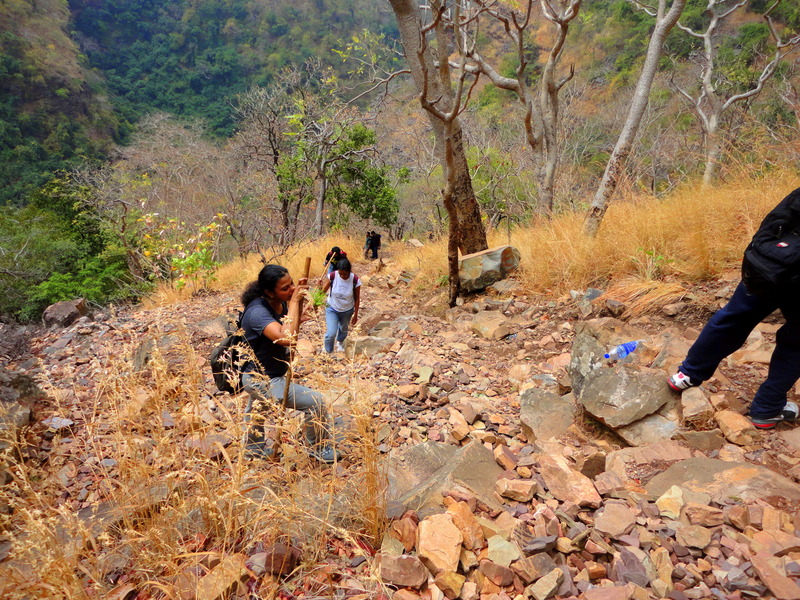 We went back to Upper Ahobilam and took a different route this time through the forest to go to Pavana. Luckily there was no crowd that day and It was slightly drizziling which was an added bonus. 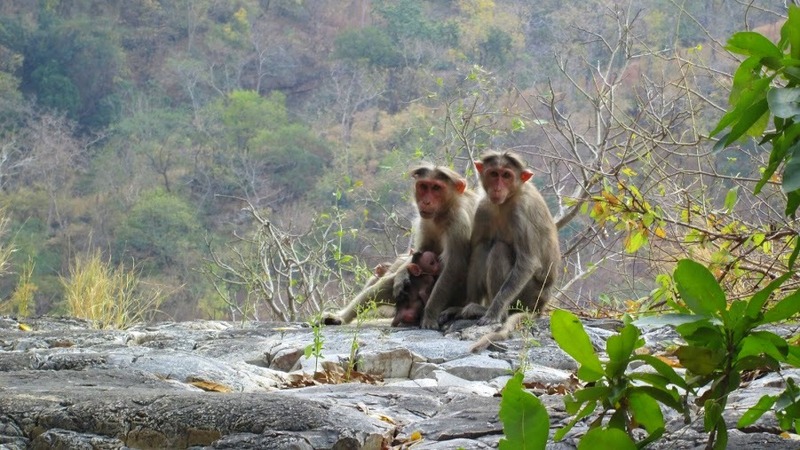 One can find loads of monkeys on this route.. This was the path were I fell in love with this place. Such quite stillness, such serene peace, that at a point I took a few moments to go ahead to be alone and just listen to the forest sounds. The happiness and tranquility it bought to heart trickled a few drops of tears. 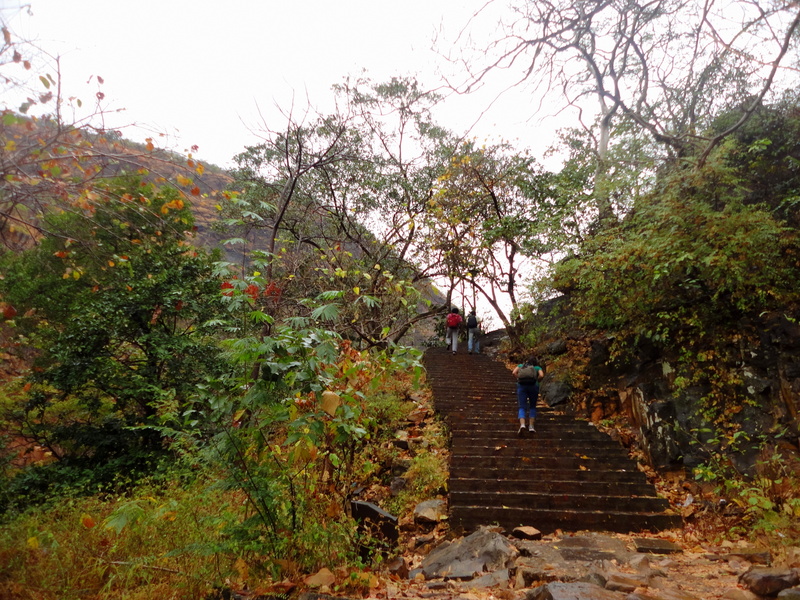 Steps which begin the way to pavana..
A path in the forest..
We encountered some nice trees to climb and a temple which was in a cave where we have to crawl on all our 4 limbs. 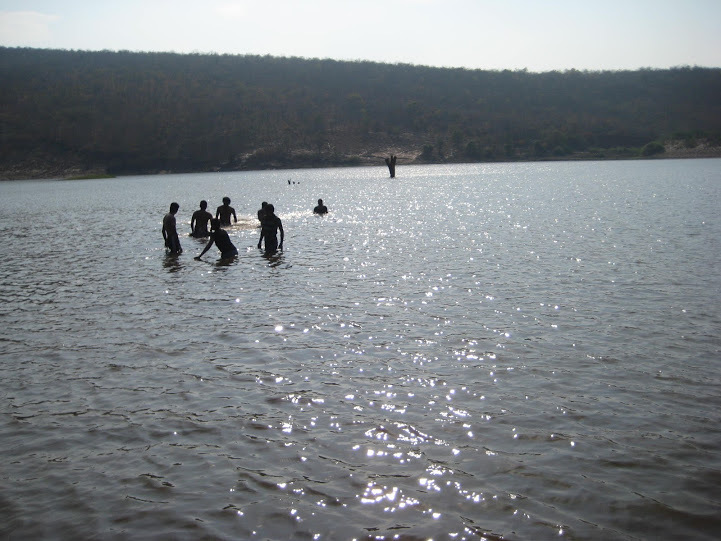 We then reached Pavana, took sometime off to relax, had some nice pulihora which was being served there and started back. Crawling out of the cave temple..
After a nice trek, it was time to play in some water. 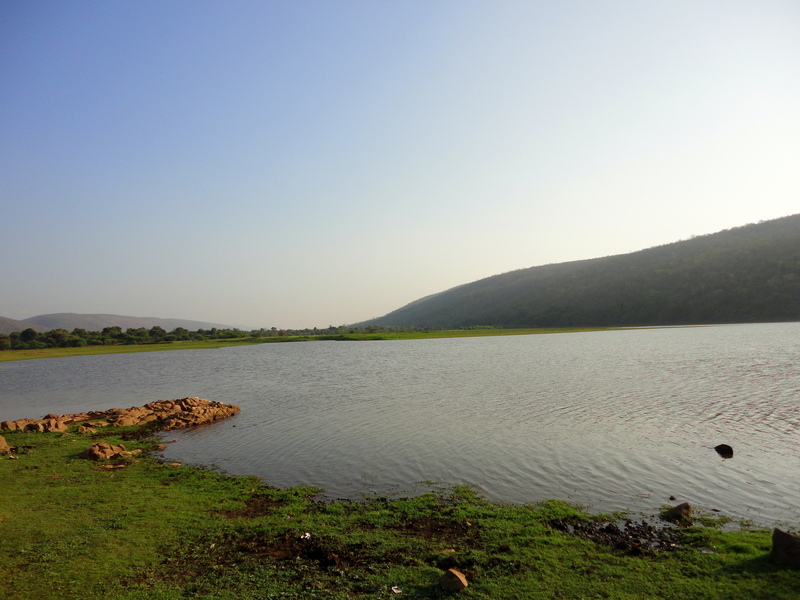 There was a lake near lower Ahobilam set amidst the hills. All of us jumped into the water and did some jalakaladings. Some macho men tried to take some poster photos with the water 😛 . After a nice swim it was time for petpuja. We went to one of the temples near by and had some rice at the satram. We hungry souls having food at the Satrams.. It was evening and it was time to say bye bye to the beautiful hills and head back to the village. 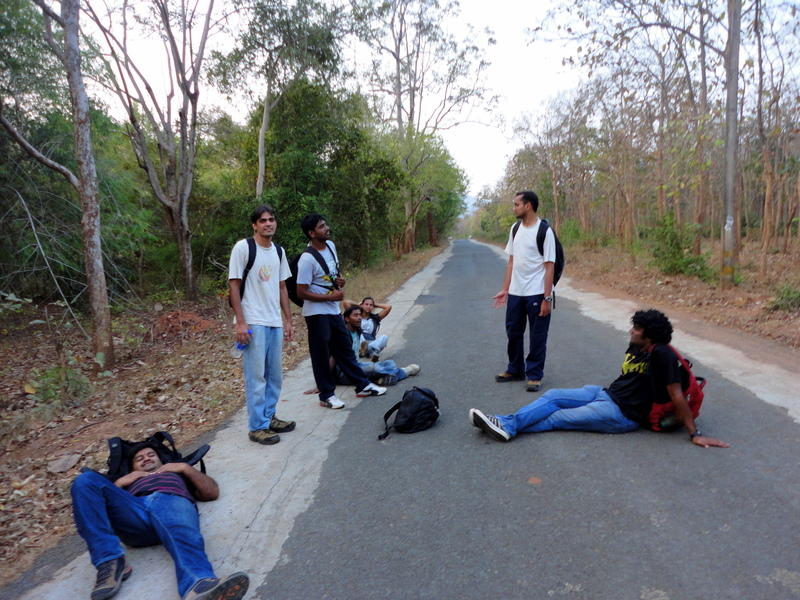 We had some time to kill until the next bus arrives to take us to Allagadda. We occupied an aragu in front of a shop in the village and relaxed seeing the village move into sunset. Map of the whole path. We caught the bus and reached Allagadda, had some food and got into our bus back to Hyderabad. I have done many more trips after this into more beautiful places, more greenary, more fun..but somewhere down the line this trip has been my best till now in Nallamala’s. 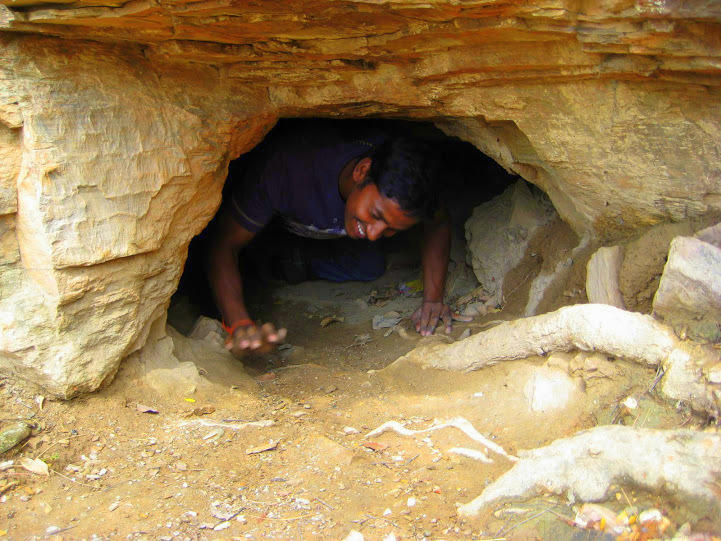 Previous Post Trek @ Araku.